IF there was one promise which MDC Alliance leader Nelson Chamisa kept to the letter and spirit but one which will return to haunt him for many years to come, it was his threat to make this country ungovernable if results did not go his way. He almost made that possible early last week. Chamisa went to this election riding on the lie that the country’s electoral mother body, ZEC, was planning to rig the poll as a ‘strategy’. His moans were confirmation that going up against ZANU PF was not going to be a stroll in the park. The Alliance, meanwhile, was united in name only. There was nothing beyond the name. The seven Alliance parties are now finding their way to their respective homes; theirs was a marriage of convenience. Tendai Biti, one of the principals in the Alliance, got what he wanted — a seat in the National Assembly — and is now said to be claiming a bigger stake in the affairs of the coalition. It is now a gloomy affair for Chamisa whose only hope lies in the court challenge and a Government of National Unity (GNU) which insiders say he is desperately clamouring for despite utterances of bravado in public. Both routes are remote possibilities. He has no evidence of ZEC’s alleged ‘rigging’ and has been inciting MDC hoodlums to demonstrate. 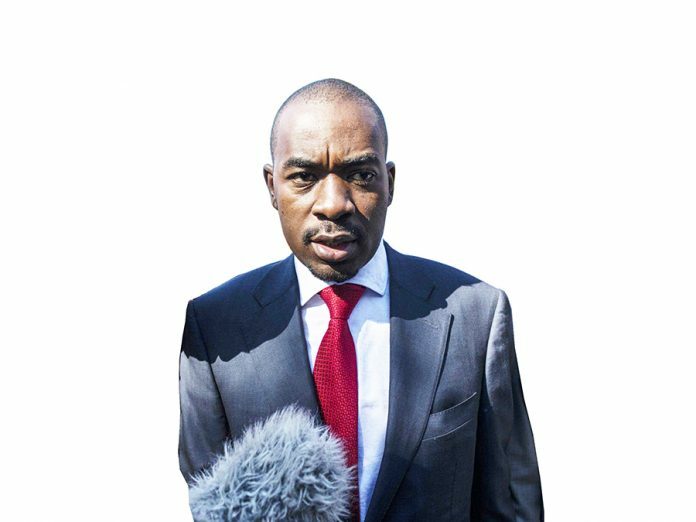 Put simply, Chamisa is headed for the political wilderness and with MDC goons baying for his blood, he hangs by the thread. With his options diminishing by the day, his only route now is to continue destabilising the country, but again there is no clear outlet on that as the country’s security establishment is ever ready to deal with any lawlessness. Where to now for the young man? That is not so difficult a question to attend to given what has been transpiring in Chamisa’s life. The youthful politician failed to convince the electorate with his fanciful and infantile dreams. A simple prognosis of the July 30 2018 elections shows some interesting revelations. The key areas where our real politics resides, where our history was created and nurtured, have always held the keys to our future. This is where the election was won and the trend will continue like that for many years to come. What he lacked in strategy and tact, he had in abundance in so far as destabilising this country is concerned. This writer always finds the lure of drawing comparisons between football and politics irresistible. There is the beauty, the ugly and the good, all rolled into one. And in football, like in politics, results are determined by little details. One slip can cost the whole team. Equally, one moment of brilliance can win you matches and trophies. While the MDC Alliance was busy congregating around Chamisa during the campaigning period, ZANU PF, on the other hand, adopted a multi-pronged approach that gave it the resounding victory that the opposition is finding difficult to come to terms with. They should never drag anyone into the mess they created for themselves. Zimbabwe is on the cusp of something big. A new narrative is about to unravel but that can never be derailed by politicians who cannot bear defeat in an election. That is their baby to nurse, not ours as a country. The idea behind Chamisa’s lack of tact is to mask his glaring election campaign deficiencies by creating a ruse that the elections were ‘rigged’ and that he and his team have ‘evidence’ to that effect. “Mr Chamisa has said he will challenge the results in court, premising his suit on V11 forms from polling stations, and V23 forms,” reads The Sunday Mail report in part. “Information at hand shows the MDC Alliance did not post agents in at least 200 polling stations and thus does not have V11 forms. Further, scores of agents have refused to hand over the forms because the party has failed to pay them for their work. A V11 form is an original document carrying results from a polling station and is signed by agents of all contesting parties. After signing, the data is recorded on a V23 form and then forwarded to the Zimbabwe Electoral Commission’s National Results Centre. Because Mr Chamisa is not in possession of all V11 forms, senior Alliance officials insist mounting a court challenge would be both futile and serve to harden ZANU PF against accommodating them in any administrative arrangement. The Sunday Mail has it on good authority that last week, MDC Alliance principal Mr Tendai Biti and Messrs Elias Mudzuri (deputy president), Douglas Mwonzora (secretary-general), Jameson Timba (chief election agent) and Murisi Zwizwai (secretary for elections) attempted to reason with Mr Chamisa without success. For ZANU PF, the Party has its work cut out. All the Party needs to do is to work hard and develop the country. Again, the irony is lost on Mr Chamisa. Not so long ago, Mr Chamisa lambasted and denigrated the courts, labelling them compromised and akin to ED’s bedroom. It is in these same courts Chamisa is seeking legal recourse!